From my friend Kathy Ide, the Editor of Editors. She has instructed and inspired thousands of aspiring writers over the course of her long career. The following is an excerpt from her recently released Proofreading Secrets of Best-Selling Authors. I love that! It shows how one tiny bit of punctuation can change the entire meaning and tone of a sentence. You may think that as long as you’ve got life-changing content in your nonfiction manuscript, or an intriguing story with lots of conflict and interesting characters in your fiction manuscript, that should be enough. And yes, content and story are extremely important. But no matter how good those things are, you’ll be running some pretty big risks if you don’t bother proofreading your manuscript carefully for typos, inaccuracies, and inconsistencies . . . and learning the industry-standard rules regarding punctuation, usage, grammar, and spelling. 1. Mechanical errors can decrease your chance of acceptance by a traditional publisher. Most people who work in the publishing industry know a lot about proper punctuation, usage, grammar, and spelling. And they can spot typos and inconsistencies without half trying. If you have too many mistakes in your manuscript, it may not go any farther than an acquisitions editor’s desk. 2. Mechanical errors can cause miscommunication. A colleague of mine recently sent me an e-mail about a local writers’ conference, asking if I’d be on board for it. I responded that I would definitely be on board, especially since it was close to my home. When I reread her e-mail later, I realized she had asked if I was interested in being on the board! I gulped. I was certainly “on board” with the idea. But serving on “the board” would require a significant investment of my time. Now, I have thoroughly enjoyed being on the board for this exciting conference. And this is an example of reader error, not author mistake. But it does point out how one little missed word can change the entire meaning of a sentence. 3. Mechanical errors can cause confusion. My older son, Tom, is a very busy professional, and even before he moved out of my home, a lot of our communication took place via e-mail. One Sunday, I asked him what he wanted me to make for dinner that evening. His response was: “When you decide what you can say I decided this and if it’s not OK that’s OK.” It took me a while to decipher it. And when I asked my son for permission to quote that, his response was, “Did I write that? What on earth does it mean?” Even he didn’t know! Well, after reading that line several times, I came up with this: “When you decide what, you can say, ‘I decided this,’ and if it’s not OK, that’s OK.” Pretty confusing without the punctuation, isn’t it? 4. Mechanical errors can give an unprofessional appearance to publishers and readers. 5. Mechanical errors can be embarrassing. 6. Mechanical errors may cause readers to take you and your message less seriously. 7. Mechanical errors can affect the sales of your book. 8. Mechanical errors could cost you money. If you decide to hire someone to edit or proofread your manuscript, and you haven’t corrected your punctuation, usage, grammar, and spelling, you will be paying extra for someone else to do that for you. And how will you know if that editor is right? 9. Mechanical errors can be distracting. If I’m reading a book or article, no matter how good the content or story might be, if there are too many typos or mistakes in punctuation, usage, grammar, or spelling, it’s difficult for me to get past those enough to concentrate on the book. I have been known to stop reading a book and put it back on the shelf if I find too many errors. And there are other readers like me out there. 10. Mechanical errors can give you a poor reputation. If you’re writing just for family and friends, it may not matter so much whether every comma is in exactly the right place or if you have a few typos here and there. But if you want to get your book published in today’s highly competitive commercial market, you need every edge you can get. If you expect people to buy what you write, you need to take the time to do it right. If you have a hard time finding typos, inconsistencies, and “PUGS” errors in your writing, consider hiring a professional proofreader. A comma may not save Grandma’s life. But a careful proofread might make a life-or-death difference for your manuscript. 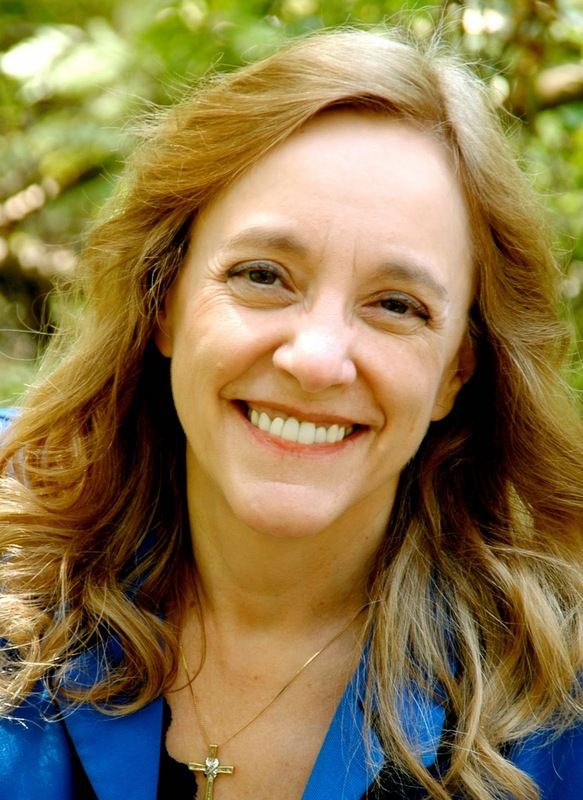 Kathy Ide, author of Proofreading Secrets ofBest-Selling Authors, is a full-time freelance editor/mentor for new writers, established authors, and book publishers. She speaks at writers’ conferences across the country. She is the founder and director of The Christian PEN: Proofreaders and Editors Network and the Christian Editor Connection. For more about Kathy, visit her website at www.KathyIde.com. 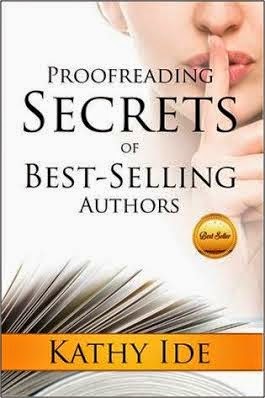 Proofreading Secrets of Best-Selling Authors is available at Amazon and Barnes & Noble.